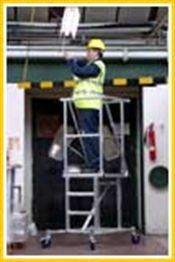 This podium tower provides a safer alternative to step ladders. 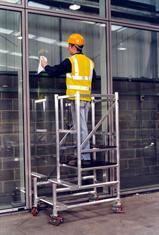 They fold up in seconds, fit through a standard doorway and can be easily handled by one person. 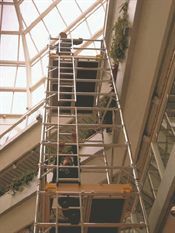 Variable platform heights of 0.25m, 0.5m, 0.75m and 1m.